BOLINGBROOK, IL (September 16, 2013) - Today Log Splitters Direct launched a new rankings algorithm to help shoppers pick the perfect log splitter. The online retailer and reviews site currently lists more than 75 splitter models and publishes hundreds of reviews from actual customers and shoppers. The new algorithm generates a specific letter grade for every individual log splitter, allowing Log Splitters Direct to now publish the most comprehensive 2013 splitter lists online. The majority of best-selling lists are updated once a year, showcasing discontinued splitters that were popular last year. 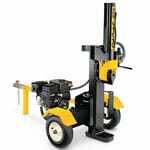 Log Splitters Direct's lists, however, are updated in real-time, highlighting what’s hot and what’s popular in 2013. “Best of all, actual log splitter users influence the algorithm daily. If you don’t agree with our letter grade, you simply submit a review, which instantly alters the ranking,” said Flanc, who personally works directly with all of the leading manufacturers and actual customers before recommending the highest quality brands and models. "We're so passionate about splitters that we're delighted to share this valuable information for free," said Flanc. 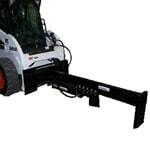 Log Splitters Direct announces the 2013 best log splitters and the 2013 top log splitters. 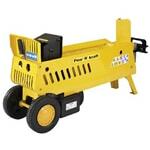 The product experts chose the 2013 best log splitter based on sales history and customer reviews. 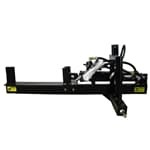 Read recommendations on the 2013 best selling log splitters from the experts who work with them every day.